Looking for something easy yet fun to do with the kiddos? Don’t want to spend a lot of money on craft supplies? I’ve got you covered! There are so many FABULOUS craft projects you can do with items you have around the house! DIY Princess Wand – We’re having a princess party for my daughter’s birthday and, though I was planning on buying wands for the girls from the Dollar Tree, this DIY wand is SO much cuter! Candy Bracelets – Want to make fun and healthy candy bracelets? Check out this idea! Paint Chip Bookmarks – The next time you go to a store that sells paint (Lowe’s, Home Depot, Walmart), grab a couple of paint chips and use them to make bookmarks! Just cut out fun shapes, punch a hole in the top and tie a ribbon! Handprint Flower Bag – This handprint flower bag is SO cute, and this would make an awesome gift for grandparents! Have more than one kid? Write their names under their handprints! Paper Plate Apple – This is fun and easy craft using a paper plate and some construction paper! I’m betting the kids would have a good time with this one! Paper Clip Bookmarks – Here’s another super easy bookmark craft! Embellished Letter – I love having my daughter’s name or initial in her room, so I might just have to make this one! How cute is it?? And, you can use anything to embellish it! 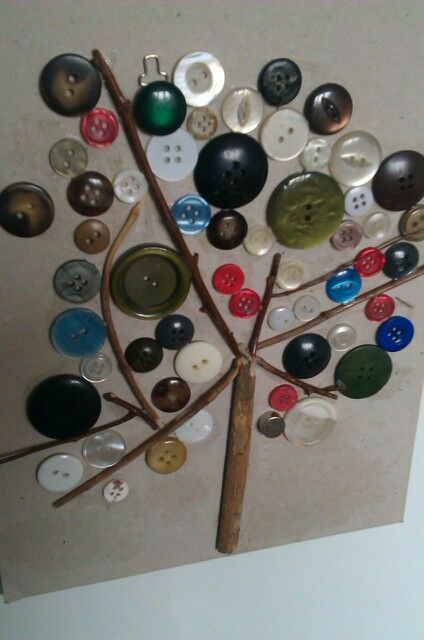 Button Tree – How fun does this button tree look? Let the kids pick out their own buttons and go crazy with it! Balloon Bee – What kid doesn’t like balloons?? Turn one into a super cute bee! Egg Carton Caterpillar – Have an old egg carton lying around? Turn it into a caterpillar! 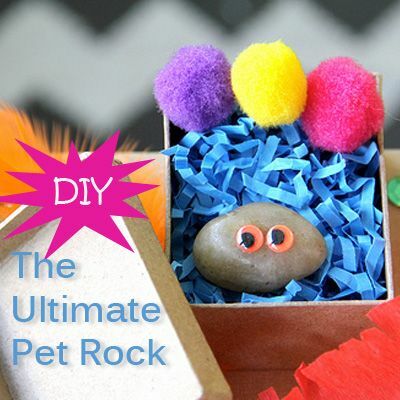 Pet Rock – You can’t be a kid without having a pet rock, right? This simple craft uses an item you can find lying around outside! The Hungry, Hungry Caterpillar – Have you read The Hungry, Hungry Caterpillar to your child? Make your own using clothes pins! Handprint Fire – This is a great craft to add to your collection with fall approaching – use your kids’ handprints to make a fire! 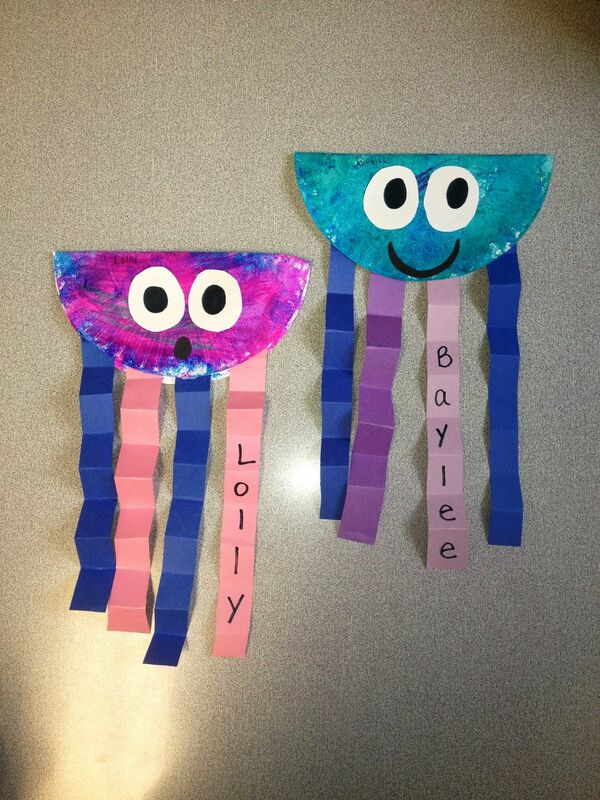 Paper Plate Jellyfish – Want another paper plate craft? I’ve got one for ya – cut one in half to make a jellyfish! Picture Frame – My daughter LOVES pictures, so this craft is right up her alley! 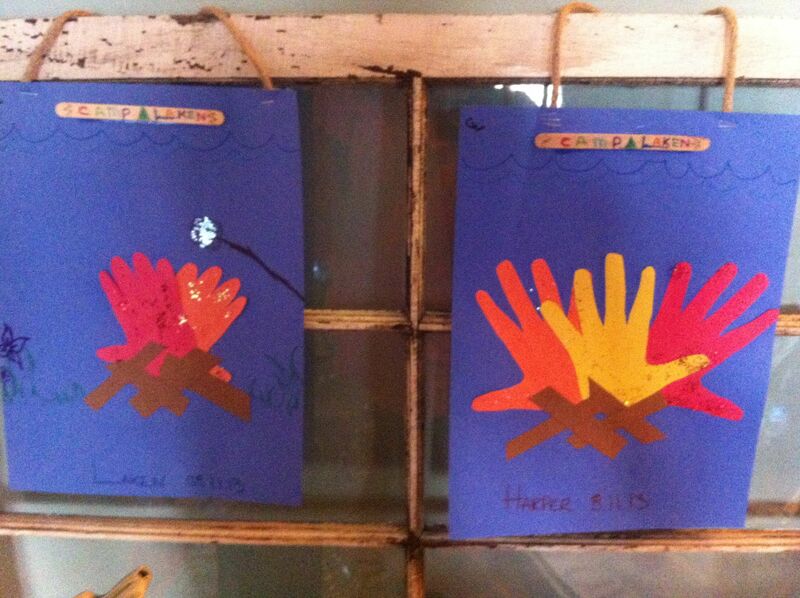 If your children are the same, you can help them make their own picture frames! I like the button tree! My son and I are learning about circles this week so this is a great activity for us to do.